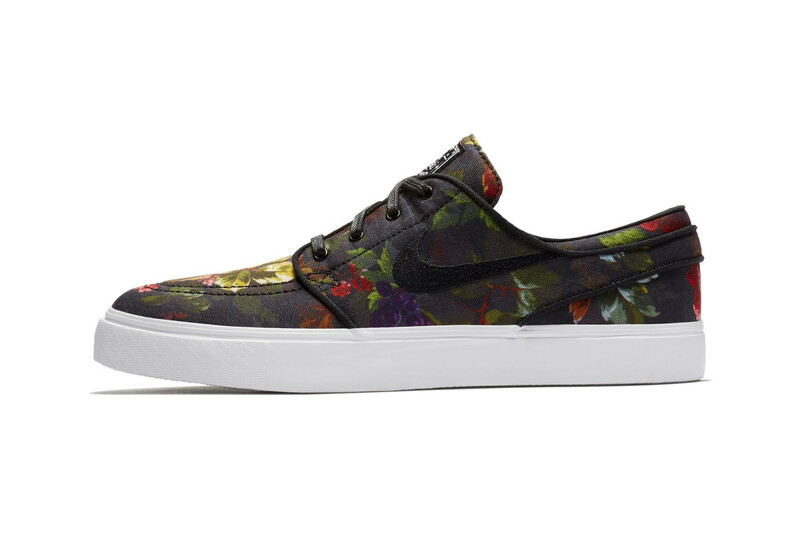 Nike SB‘s Zoom Stefan Janoski might have gone down the tonal route for its latest releases, but the skate-centric sneaker has always found its biggest success with floral prints — we can recall the OG 2013 “Digital Floral” pattern as well as the more recent tapestry-inspired floral print slip-on. The silhouette’s newest edition, however, seems to be a middle ground between the two aforementioned styles, coming in a darker-toned floral print that channels renaissance still life paintings. The low-top silhouette features an all-over print canvas upper with subtle black detailing at the piping, stitching, embroidered Swoosh and waxed laces. All of this sits atop a clean white rubber sole unit with white rubber foxing and a gum outsole, while the signature Stefan Janoski branding patch at the tongue completes the look. This new floral print Nike SB Zoom Stefan Janoski colorway is slated for release on August 1 at Nike’s web store and select Swoosh retailers. Let us know if you prefer this edition to the previous floral prints in the comments below and for more patterned footwear, check out DELUXE’s exclusive dragon embroidery velvet Vans Slip-On.